That is right! We had a lot of activity at our booth this year in the US with lots of people coming by wanting to know how this could be. 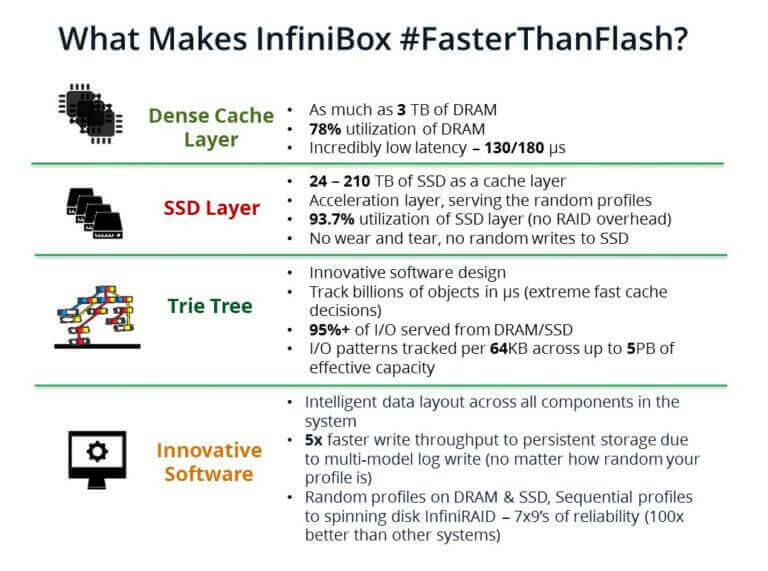 So if you are interested in how your business can achieve faster that all-flash performance, have 99.99999% of availability, and scale to multiple petabytes in a single 42U rack — all at pennies per GB, come by our booth #G417 to see the system and get a demonstration. You also won’t want to miss Nxtra Data Limited, CEO Neil Pollock give a similar type of presentation about their success with InfiniBox. Neil’s presentation takes place Tuesday, October 18 at 12:30 in Hall 8.0, Room 38. 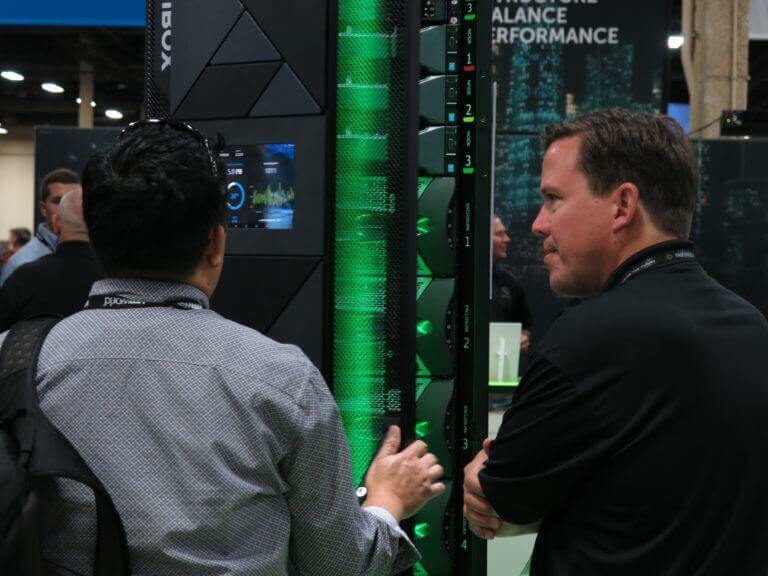 At VMworld in the US, we had customers speak in our booth to talk about their success with INFINIDAT. One them, DSW, spoke in a breakout session about the process they went through to get the InfiniBox up and running and what it has done for their business. You can check out the recording of the session If you would like to see the presentation, you can here. We also had a number of great meetings with our alliance partners while in Las Vegas including, Brocade, Stratoscale and APTARE.Here are three brief videos from the event where we spoke about the partnership and what it means to you, the customer. We are strategic alliance partners with Brocade and should a customer want to buy both their storage and networking from one vendor, INFINIDAT can provide that for you. Here is Jack Rondoni, VP of Storage Networking for Brocade. Next, we spoke with John Mao, the Director of Business Development for Stratoscale who has developed a distributed and hyper-converged Operating System for data centers that uses the rack as its design paradigm, in contrast to the traditional, single-server paradigm – creating a totally new foundation software stack to run, scale and optimize data center operations. And last, but not least, we spoke with Don Van Valin of APTARE who talked about the integration they did with their storage management capabilities and the InfiniBox. We hope to have a lot more great encounters while in Spain. Looking forward to meeting all of you there.